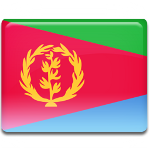 On February 10, Eritrea observes Fenkil Day. This observance commemorates the Second Battle of Massawa, also known as the Fenkil Offensive, that was one of the most important battles of the Eritrean War for Independence. Before World War II, Eritrea was an Italian colony, part of the so-called Italian East Africa. After the war, it was made a British protectorate. In 1952, the United Nations declared to federate it to Ethiopia. In the early 1960s, the federation was dissolved by Ethiopian Emperor Haile Selassie. He annexed Eritrea which triggered a 30-year war for independence. The Eritrean War for Independence started on September 1, 1961. In 1970, a group of left-wing intellectuals founded the Eritrean People's Liberation Front (EPLF), an armed organization that struggled for the country's independence. On February 8, 1990 the EPLF forces began the offensive against the Ethiopian army near the city of Massawa. The attack took the Ethiopian military by surprise. On the third day of the offensive, the EPLF forces captured the city. EPLF victory in the Second Battle of Massawa is considered to be a huge step towards the country's independence therefore its anniversary is an important remembrance day in Eritrea, although not a public holiday.